Thinking about Soundgarden frontman Chris Cornell’s death (he passed last May) fucks me up, from how sudden and shocking it felt, to how it seemed like a tragic capitulation of a prescription drug addiction that ate away at him for decades. This, of course, pales in comparison to what his wife Vicky Cornell, and their children, have been going through since he died. She sat down with Good Morning America on Wednesday for her first television interview since his passing, and it’s just absolutely gutting. In a talk with GMA host Robin Roberts, Cornell reckons with guilt and suggests that her husband was still suffering from addiction. She casts doubt following the medical examiner’s report, which determined that her husband died by suicide and that the dose of Ativan—an anti-anxiety medication which possesses a handful of side effects, including suicidal thoughts—in his system was not high enough to trigger the side effects. 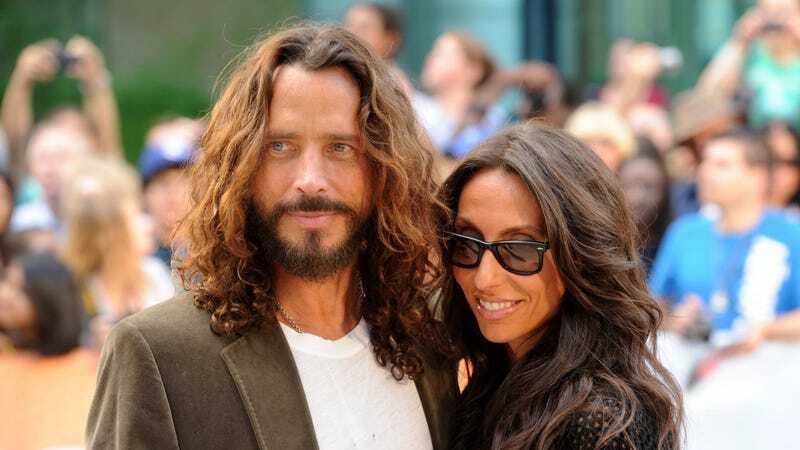 Vicky Cornell maintains that her late husband’s struggle with addiction was what ultimately caused his death. “He wanted to be there for his family, for his children. He loved his life. He would never have ever left this world,” she said. God, you can watch the full interview below.